I WAS in Kuching, Sarawak, last week when I received a text message from a former colleague, a senior academician at a Johor-based university. He wanted to know about ‘sultanate’ land, and whether it was the same as ‘crown’ land. There is a similarity between the two, but the former has its peculiar characteristics that are not found in the latter. I told my friend that the National Land Code 1965 (Act 56) does not apply to “sultanate” land. Over the weekend, in Kedah, after catching up on my reading, I realised why my friend had enquired about the matter. My friend’s anxiety was apparently caused by the Johor government’s move to de-gazette Pulau Kukup’s national park status and turn it into a “sultanate” land. That surprising decision was by the state executive committee on Sept 24, and the decision was published on Oct 25. It was a far-reaching decision because thereafter, Pulau Kukup ceased to be regarded as a “wetland of international importance” under the Ramsar Convention. In the days following, Johor Crown Prince Tunku Ismail Sultan Ibrahim was quoted by the media as saying that as a sultanate land, the island would “be better protected”. The prince added that in the past, several national parks were privatised, but in Johor, his father (Sultan Ibrahim Sultan Iskandar) has a different vision. Despite the island becoming a sultanate land, Tunku Ismail said that its status would continue to “remain as a national park”. Apart from Pulau Kukup, Johor has five other national parks — Endau-Rompin Peta, Endau-Rompin Selai, Tanjung Piai, Gunung Ledang, and Sultan Iskandar Marine Park. Known as the world's second largest uninhabited mangrove island, Pulau Kukup is one of six Ramsar sites in Malaysia. It is located one kilometre offshore from Kukup, a 150-year-old fishing village in the Pontian district. Kukup town is a famous seafood centre in south Johor. The 647ha-island is surrounded by some 800ha of mudflats, rich with shellfish and provide food and income to the local population. Due to its rare and unique biodiversity, Pulau Kukup was declared a national park on March 27, 1997, and subsequently declared a Ramsar site in January 2003. Ramsar sites are wetlands accorded international importance under the United Nations’ Convention on Wetlands. On Dec 5, Lawyers for Liberty called on the Johor government to declare publicly its reasons for degazetting Pulau Kukup. The non-governmental organisation claimed that the state had not given the public “any reasonable explanation” for its action although the decision by the state executive committee was made some three months earlier. The following day the Johor state assembly approved an emergency motion to urge the state government to review the decision. The motion was tabled by Senggarang assemblyman Khairuddin A Rahim, and was supported by all Pakatan Harapan representatives. Former Skudai assemblyman Dr Boo Cheng Hau deplored “the hasty decision” by the state government without informing the public or the state lawmakers. The state government should have consulted the Johor people before making any important decision concerning the welfare of Johor, he added. He said Johoreans deserve “a proper explanation”. 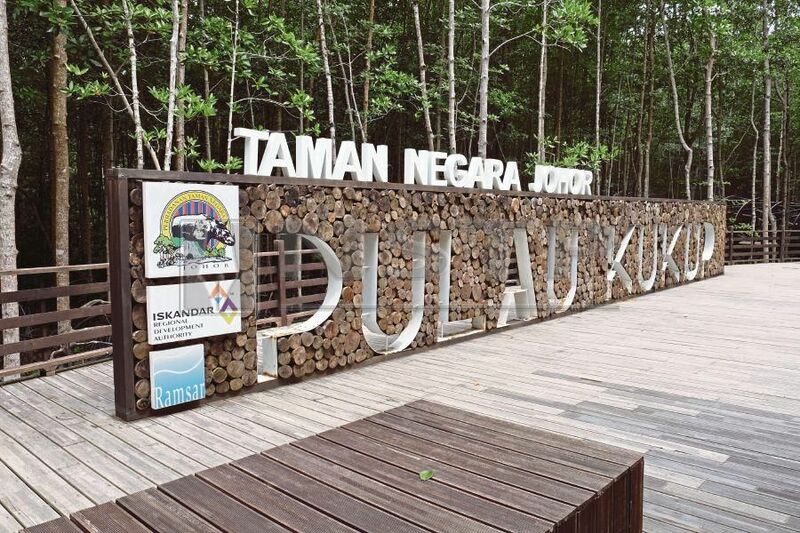 Joining the outcry, the prime minister’s media adviser, Datuk A. Kadir Jasin, urged Johor Menteri Besar Datuk Osman Sapian to explain in detail how Pulau Kukup had become sultanate land after it was degazetted as a national park. He also said if the menteri besar failed to provide an explanation, “then he should consider resigning”. The Convention on Wetlands came into force for Malaysia on March 10, 1995, some two years before Pulau Kukup was declared a national park. The other five Ramsar sites are Kuching Wetlands National Park, Lower Kinabatangan-Segama Wetlands, Sungai Pulai, Tanjung Piai, and Tasek Bera. Pulau Kukup is thus, not just an island. It is a national park, a Ramsar wetland, a natural ecoheritage to be protected, preserved and kept safe for all our future generations. The island has now become a sultanate land, but assurance has been given by the Johor sultan that it would be preserved as a national park. Malaysians should, therefore, have faith in the Sultan and trust he will do the right thing. I am confident the Sultan will keep to his word.